On September 1, 2018, daily and monthly parking rates at MBTA lots and garages were adjusted to encourage parking at stations with more capacity. We expect these changes will make it easier for you to predict parking availability during peak travel hours. Find your lot or garage on the map below to view the new prices, or view the entire list. How did we decide to make these changes? The MBTA hasn't changed parking rates in more than 10 years. The current fee structure doesn’t account for variations in demand for parking across the system, which has led to overcrowding at many stations. Instituting a flat, system-wide increase still wouldn’t address these inefficiencies. Instead, we relied on feedback from customers and lot attendants, as well as data about current and historic parking conditions. The new pricing structure also considers the total cost of your commute, including the price of your Commuter Rail pass. After the new pricing goes into effect, we will continually evaluate its efficacy and address any gaps or inefficiencies periodically. South Shore Garages: $64 million in a full-scale rehabilitation of Quincy Adams and Braintree garages resulting in better access, brighter lighting, and extending the useful life of the garages for decades to come. Surface Lot Reconstruction: More than $10 million to improve pavement, lighting, security, and customer access at MBTA surface parking lots. Better Maintenance: We’re investing more in things like painting, sweeping, and lighting to make our facilities better places to park. 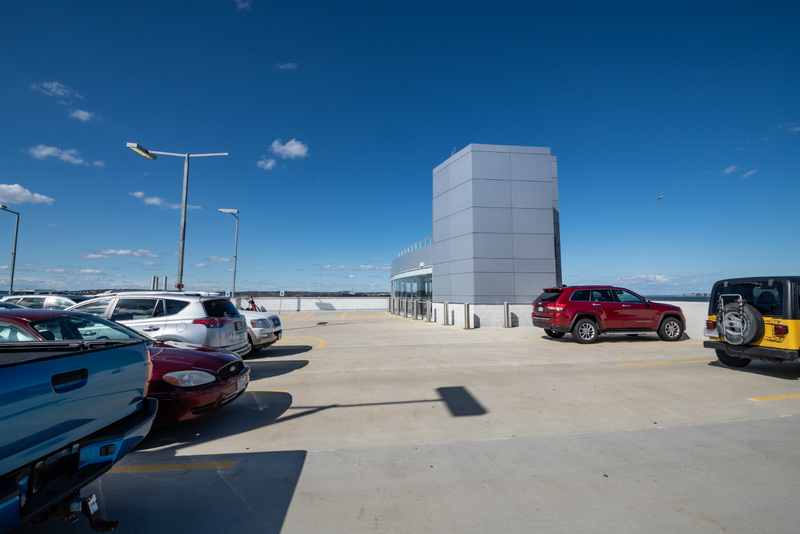 Real-Time Information: In our garages at Alewife, Beverly, Braintree, Quincy Adams, Route 128, Salem, Wonderland, and Woodland we'll be providing real-time, accurate parking availability. We’re also trying to make room for more people to park across the whole MBTA system. Other cities have found that when you change parking prices in a way that considers occupancy, it improves availability for everyone. We will carefully monitor this part of our program and make changes as we go forward. At MBTA garages, daily rates are good for up to 14 hours of parking. After the first 14 hours, the daily rate is $15. Monthly passes aren't available for garages, but you can prepay for months or weeks of parking with a garage tap card. At MBTA surface lots, the listed price is for customers who use PayByPhone (the mobile app, the website, or their phone system). Mailed invoices are subject to a $1 fee per day of parking.